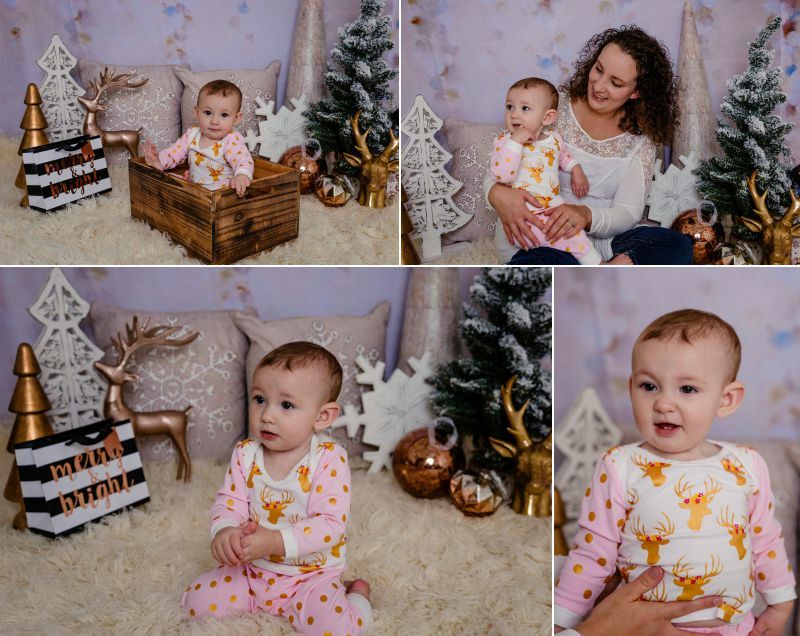 Your child’s first Christmas photos are fraught with hope, excitement and sometimes a little trepidation. We all have high hopes, but at the end of the day each little person is unique and will have their very own reaction to the experience. It is important to allow children to be who they are during the photography session. This means being patient, allowing time for play and breaks if needed. It also means capturing THEIR personality. Some children are more thoughtful and reserved, so a big grin might not show up for the session. And despite the best planning, a child who has napped, been fed and SHOULD be happy just might not be in the mood for photos that day. 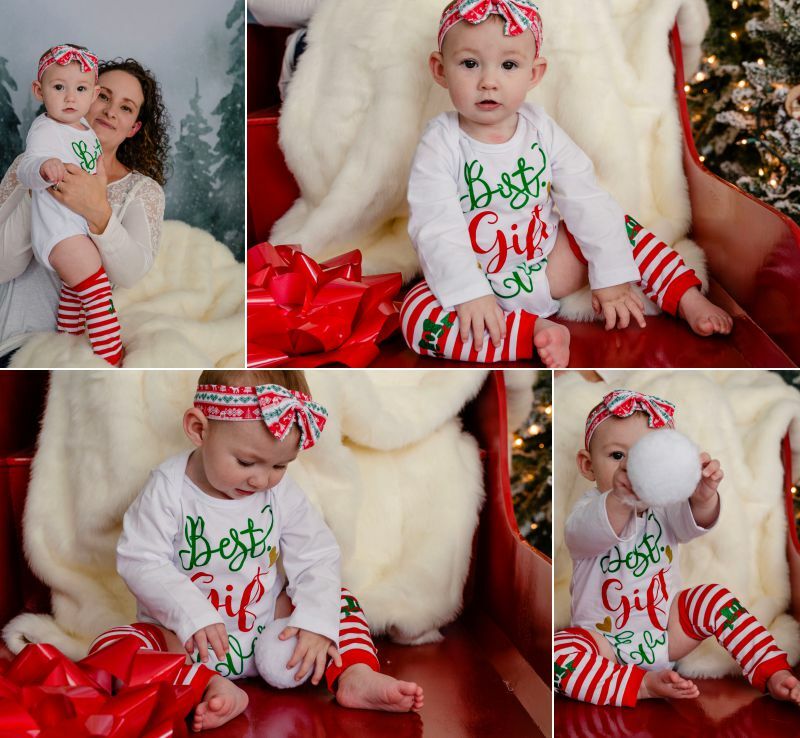 Luckily, Little Miss brought plenty of personality to her Christmas session! !